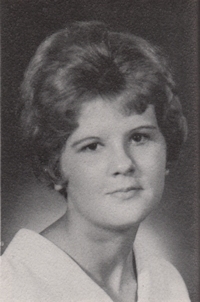 Obituary – Snyder, Ida “Berniece” « Perry High School Alumni Association, Inc. Band 61-64, Band Pep Assembly 62-63, Home Ec. Assembly 62-63, Red Hots 63-65, Red Hots Pep Assembly 63-65, F. T. A. 63-64. Berniece Snyder, 62, of Ponca City, Oklahoma, was the daughter of Clarence Earl and Mary Louise Gaines Snyder. 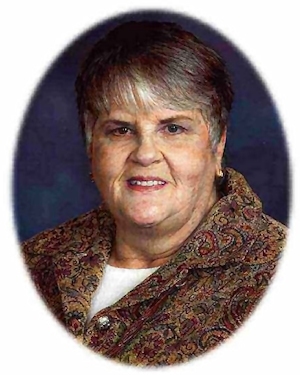 She was born on June 9, 1947 in Enid, Oklahoma and died Sunday, January 3, 2010 at the Ponca City Medical Center. In 1965, Berniece graduated from Perry High School. She served her country as a member of the United States Army from August 1965 until August 1968. Berniece was a Medical Corpsman during the Vietnam War. She attended Oklahoma State University for two years and worked as a surgical scrub tech at Ponca City Medical Center for over twenty years. Berniece was a Rainbow Worthy Advisor and enjoyed swimming, traveling and loved animals. Memorial services will be 4:00 p.m. Tuesday, January 5, 2010 at the First United Methodist Church in Perry. Rev. Ed Cook will officiate, assisted by Rev. Roger Dunn. Services are under the direction of BrownDugger Funeral Home in Perry. Memorials may be made to the Cerebral Palsy Foundation in the name of Kenzi Burnside. Berniece is survived by two sisters, Brenda Horn of 8937 Holiday Lane, Aubrey, Texas 76227 and Earline Cockrum of 629 Whitetail Deer Lane, Crowley, Texas 76036 and seven nieces and nephews, Melody Hammond of Dewey, Oklahoma, John Burnside of Colorado Springs, Colorado, Mike Burnside of Talala, Oklahoma, Paul Cockrum of Crowley, Texas, April Sewell of Perry, Oklahoma, Lauren Horn of Denton, Texas, and Emerald Groom of Edmond, Oklahoma. She was preceded in death by her parents and two sisters, Shirley Snyder and Judy Burnside.